Posts tagged "fuel system flush"
Buying a new car might sound good in theory, but these days, a new car purchase is out of reach for many Americans, according to a recent CNBC report. With the average cost of a new vehicle higher than ever at $30,500, spending a fraction of that money on making your current vehicle last longer makes good financial sense, says the Car Care Council. On March 8, 1950, the iconic Volkswagen Bus began production. Officially called the Volkswagen Type 2 — and the Microbus, Splitscreen, or Splittie by modern fans of the vehicle — it remained on the market in the US and in Europe until 1967. The Type 2 was, as the name implies, the second car produced by Volkswagen, coming after production of the Volkswagen Type 1, which was the much more boring name for the Beetle. At first, the Bus was powered by the same engine as the Beetle — a 1100 Volkswagen, an air-cooled flat-four-cylinder “boxer” engine mounted in the rear. The engine was upgraded in 1953 to the bigger 1200.
Credit for the concept of the Type 2 is generally given to Dutch businessman Ben Pon. Pon had visited Germany intending to buy Type 1s. He instead had a realization that there could be a market for vans, which could easily be produced using the Type 1’s basic architecture. 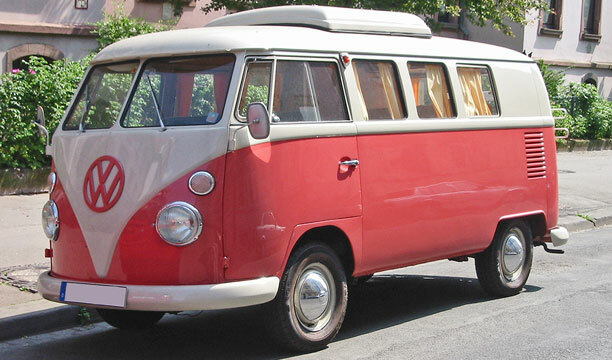 He sketched out a design for the Bus in 1947 and was able to get VW on board to start production by 1950. After it had been on the market for some time, the Bus became especially popular in the United States during the counterculture movement of the 1960s, leading to another nickname for the T2: The “Hippie Van.” In present popular culture, in fact, the VW Bus is still often used to designate characters as of the Hippie Type (think Disney’s “Cars”). Today, VW Buses are rare, especially in the United States, and are relished by collectors. Despite the lack of real world examples of the Type 2, it continues to live on in replications, concepts and in pop culture. Armed with the answers to these questions, you can start a trip inspection to help you prepare your Houston vehicle for your big adventure. A lot of our Houston customers prefer to go through this exercise with an automotive service advisor at Mobile Tune Up and Repair to get their input and make sure they haven’t left anything out. A lot of our viewers have asked whether or not they should use their severe service maintenance schedule, which is listed in their car owners’ manual. It can be confusing. Let’s clear the air on this subject. Cricket Killingsworth is from QMI/Heartland, a manufacturer of automotive products and fluids. She’s been in the automotive business for 20 years and is a speaker, a trainer, and a writer. Cricket says there’s so much confusion on this topic because, “Most owners’ manuals actually have two maintenance schedules. Sometimes these are called ‘regular service’ and ‘severe service’. Sometimes they’re simply called Schedule 1 and Schedule 2. A severe service schedule recommends that things like an oil change, air filter replacement, and transmission service be done more often: either in fewer miles or in less time. Manufacturers create these specific schedules for each vehicle they make. So there isn’t one generic schedule that applies to all cars. In addition to your owners’ manual, Houston automotive repair centers subscribe to information services that provide the maintenance schedules for every vehicle – so they can help you know when to take care of needed services. Below is a typical definition for severe service. It’s common sense: Just a few minutes at freeway speeds allows the moisture in the oil to evaporate. Very short trips, or trips of less than ten miles when it’s very cold, don’t allow the engine to heat up enough to get rid of the water. And water in the oil leads to damaging sludge. Also, towing and heavy loads raise operating temperatures and cause fluids to breakdown more quickly. Dusty and muddy driving means that more dirt will get past the air filter to contaminate the fuel system and engine oil. Here is what a fleet manager said recently: “Since city miles are generally tougher on vehicles than highway miles, we use the manufacturer’s severe service schedule as the basis for our preventative maintenance program. We massage those schedules over time, increasing or decreasing the service intervals so that they make the most sense. There is a little bit of art to go along with the science. Make an honest evaluation of your driving habits. Unless you do mostly TX highway driving in moderate weather, you’ll likely have a fairly good amount of severe service mixed in. Some people just want to play it safe and follow the severe service recommendations, rather than analyzing how they drive each month. Second, try to get to your Houston service center at Mobile Tune Up and Repair immediately if your coolant is low. If that is not possible, follow the directions in your owners manual – it will direct you to only make additions to the coolant overflow bottle. Third, remember that you need a proper mixture of water and antifreeze. If you make an emergency addition to your cooling system, follow-up with your Mobile Tune Up and Repair service center where we can make necessary corrections. Fourth, not all cars use the same type of antifreeze. You need to check your owners manual to make sure you use the right kind. Mixing antifreeze types or using the wrong kind of antifreeze may void the manufacturers warranty on your cooling system. Again, another reason to rely on your Mobile Tune Up and Repair service center in Houston to do things right. Remember, your Houston service center has the equipment to change your coolant quickly and inexpensively. Give us a call (281) 463-4211 or stop by to get a quote on any of our repair services or check out our "Mobile" Tune Up Services.